The Czech Parliament has moved to ban some 33 synthetic substances now being sold in the country, including synthetic cannabinoids and mephedrone, which is often marketed as bath salts and has stimulant effects similar to cocaine or amphetamines. Also included in the prohibitionist legislation is salvinorin A, the active ingredient in salvia divinorum, and the weird hallucinogen ketamine. 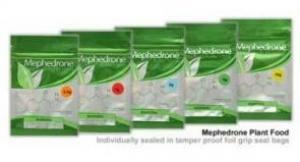 The European Union banned mephedrone last November, while the US DEA banned synthetic cannabinoids effective March 1. The DEA considers mephedrone a drug of interest, but has yet to ban it. About 20 US states have banned synthetic cannabinoids, with action pending in others this year, while similar moves against mephedrone in the states are just getting underway. The Czech Senate voted 67-0 April 4 to approve the legislation, which amends the Czech drug law. The House passed the bill last month. According to the Prague Daily Monitor, President Vaclav Klaus is expected to sign the bill into the law before the end of this month. Some senators worried that rushing the legislation into effect would not allow merchants to get rid of their supplies in time, but that concern fell on deaf ears. Deputy Pavel Bem of the governing Civic Democrats, a sponsor of the legislation, argued that the ban should go into effect as quickly as possible. The Czech government decriminalized drug possession in personal use amounts in January 2010. It is unclear how these newly criminalized substances fit into the decriminalization scheme or whether personal use amounts for them have been set. What does any of that have to do with drug policy, synthetic drugs, or anything listed in this article? Seriously, you aren't making any sense.